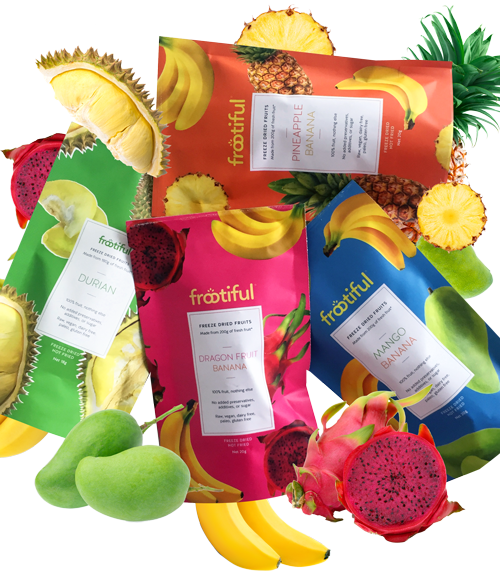 Frootiful was started by an Indonesian recently returned from overseas, used to living an active and healthy lifestyle. It was hard to find wholesome snacks in Indonesia. So she decided to create a range of treats that she was happy to eat herself, and that were safe to give her young family. She wanted a snack that was guilt free, but tasty and healthy too. Frootiful is made from the finest quality local produce. We clean, peel and cut the fruit into pieces. Next we freeze the fruit at -40C, then we vacuum dry it, removing the frozen water using the sublimation method. 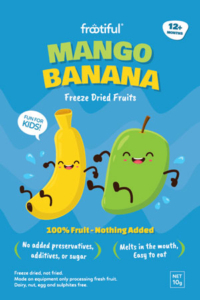 We don't heat treat the fruit, so it is still raw, with practically no vitamin and nutrient loss. 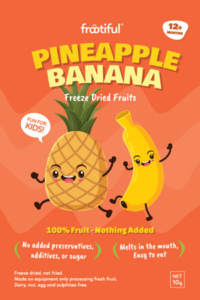 No chlorine, sulphur or any other additives are used in the production process, unlike some other freeze dried fruit brands. Every 20g pack is made with approximately 200g of fresh fruit. Nothing else. substitute for baby rusks, biscuits, and natural flavouring in baby puré. For business-to-business customers, we can private label to your specifications. 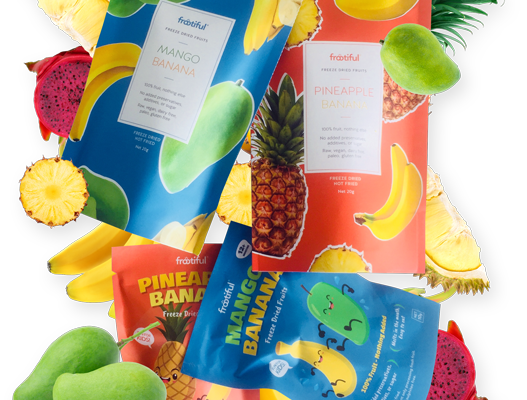 The full fruit snack and fruit powder range includes red dragon fruit (pitaya), mango, pineapple, banana, mangosteen, strawberry, jackfruit, rambutan, longan, papaya, durian, roseapple, star fruit, peach, apricot, cantaloupe and sweet potato. 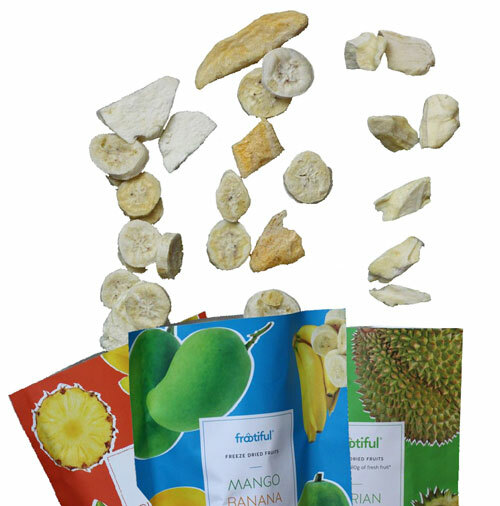 The yoghurt bites range, with no added sugar, includes strawberry, mango, pineapple, banana, durian and mangosteen. Our products are HACCP, GMP, ISO 22000, Halal certified.